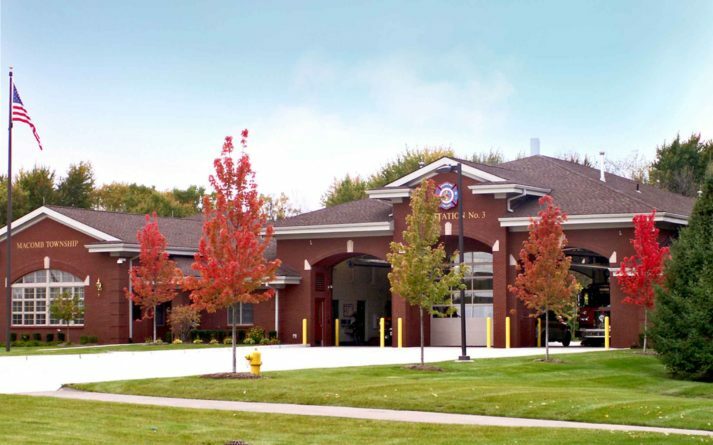 Macomb Township Fire Station No.3 – Sidock Group Inc.
Project Size: 11,800 sq. 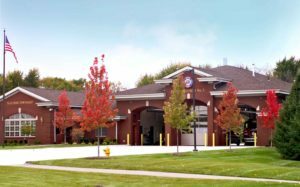 ft.
New Satellite Fire Station, one of two nearly identical stations constructed simultaneously to cover an expanding community. The station design is residential in character to blend with the surrounding neighborhoods and private structures. The Station has three drive-thru bays with support facilities including hose dryers, laundry room/extractor, work rooms, decontamination area, and storage. The Station also provides sleeping quarters, day room, kitchen, male/female lockers rooms, training room, and offices. The Station also has a pre-engineered multi story training tower serving the entire Department.